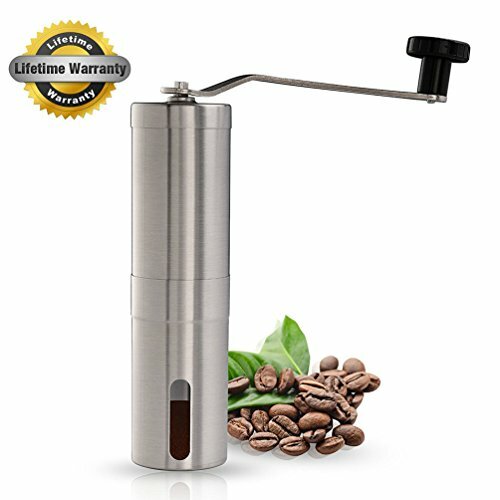 ②90% Noise Reduction:Mechanical Crank handle with burr grinder, which means that you can mill grind effortlessly without power cords or batteries and therefore has a 90% noise Reduction. ·Please avoid empty grinding or it will damage the ceramic and the grinder. 【Easy to Clean】Our manual coffee grinder is easy to disassemble for cleaning. After washing,please dry it well before reassembling the parts. Forget about your electric coffee grinder, buy this manual coffee grinder is more economical friendly! If you have any questions about this product by Ninkisann, contact us by completing and submitting the form below. If you are looking for a specif part number, please include it with your message.